This stamp, issued in 1964, is the last in a series of 14 stamps featuring provincial flowers and coats of arms. 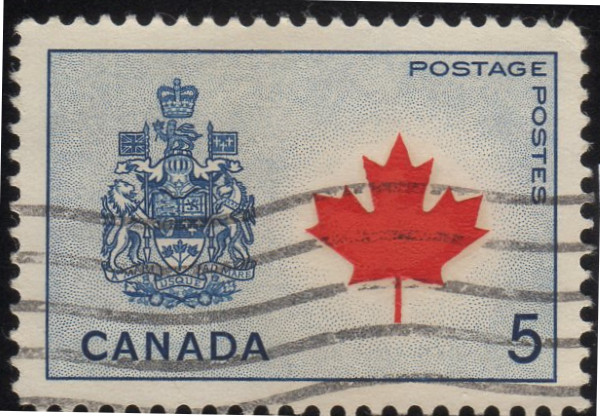 This final stamp features the Canada Maple Leaf along with the national Canada coat of arms. 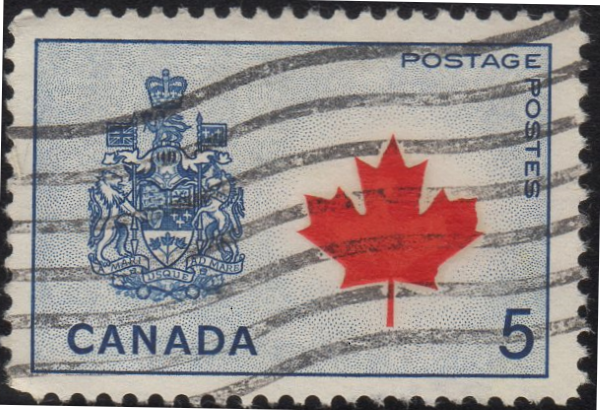 The Unitrade catalog lists a variety of this stamp called the “Deformed Maple Leaf” variety and gives it the number 429Ai. Scott makes no mention of this variety, nor does Michel. Unitrade may only consider the extreme version of this deformity as the actual variety, but I went ahead and put together this image of the various deformities I have found. This is an example of why multiple catalogs are helpful. 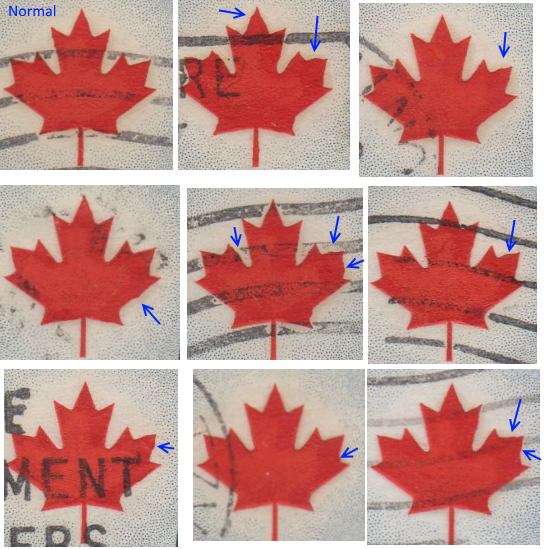 I would never have examined this stamp so close had I only had access to Scott.